If you treat your PC well, it will respond to you better, server you longer and cost you less in total ownership costs. Treat your PC with respect like you would any high-valued technology toy; they are electronic devices subject to malfunction. We will continue to update this list of general PC maintenance points that will keep you informed and minimize user errors. Anti-Virus - Install an Anti-virus program to protect your computer from viruses. Always update the Anti-Virus program on your computer. Schedule a weekly virus scan. Save a copy of your registry setting when your PC is operational without a problem. § Do NOT open attachments if the email has unusual, short, cryptic or weird titles or subjects. § Empty the contents of Deleted Items folder. o Not to attach unnecessary files and/or pictures, movies, jokes, etc. When infected OR your anti-virus program detects a virus in a received E-mail, notify your contacts and e-mail recipients. Backup - Have a backup or mirror image of your PC when your PC is operational without a hitch. Use external devices to store backed up information. Restore - Have a restore software or application available for you PC. Typically, it comes with the backup software and operating systems like Windows XP now has it. Login credentials – Keep a record of your usernames and passwords for applications on your PC and services you subscribe to. Valuable and billable time is spent trying to locate this information should you need to make modifications or reinstall. Logon – When Windows is started, always press ENTER at the prompt that asks for a User Name and Password. Selecting Cancel or Escape disables networking for that PC. Opening the PC – Except you are Technician, avoid opening up your PC. You can lose your warranty or even damage devices in the PC. Leave that to our Engineers. Cabling – Tidy the power cables connected to your PC. Disorganized cables can cause power fluctuations. 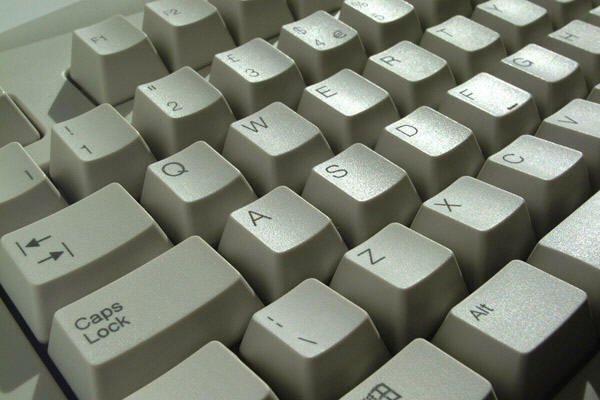 Keyboards – Avoid placing objects on keyboards as they can cause unintended key presses. Also let liquid substances be kept away from keyboards and laptops. Multiple open programs – When you have too many programs open at the same time, it ties down system resources causing crashes or unexpected restarts. Recycle bin – Regularly empty your recycle bin. This leaves additional space on your hard drive. Temp files – Regularly empty files in the Temp folder (The \Windows\Temp files). The files are typically with the extension .TMP. This improves system performance, as the Temp folder can grow so large. Defrag – Run defrag once in 3 months to defrag the hard drive. Open Programs and Documents – Don’t leave a PC inactive for a considerable length of time with programs and documents open. You can lose the document and corrupt the program should there be a PC crash or power outage. Reboot/Restart – A great many problems is fixed by a PC restart. A restart initializes all the applications on your system. Always do a restart before you call us. Original disks and manuals – Keep all documentation that accompanied your PC and its peripherals together in the same place, it might be needed by our Engineer to resolve the problem. Final configuration – When you configure your PC, install a device, or an application on your PC, document the final operational configuration. You might need this documentation should you need to reinstall or should there be a conflict. Shutdown – Follow proper procedure to shutdown or restart Windows on your PC (Start, Shutdown or CTRL-ALT-DEL, Shutdown). Avoid direct press of the power button in front of the PC. Mapped drives - When a prompt comes up "Permanent Connection to ........is not available. Do you want to reconnect at next logon?" ALWAYS respond YES. Printer tray – With sheet-fed printers, always keep some paper in sheet feeder. Do not let it be empty. The removal of all pages from the sheet feed or leaving the printer without paper can cause it to go off-line. Printer offline - When a printer is off-line and/or gives off-line/paper out messages, open up the Printers folder under My Computer, find the relevant printer driver, right-click on it and check/uncheck the Printer Offline/Use Printer Offline option. Printer Queue: If jobs are queued on the printer and it would not print, purge the stuck print job. Under the My Computer / Printer folder, double-click the printer to open the spool manager and clear any Queued Documents; Switch off the Printer to clear its memory. Restart your computer to clear its memory. CD and DVD care – Don’t place the shiny side down on a surface, other than within the cover provided. If you have to put it down elsewhere, place the logo side down. The shiny side is the side that the DVD or CD-ROM drive reads for information and if it gets scratched or damaged in any way it may become unreadable or give error readings. Energy savings – Exploit the PCs ability to auto switch of the monitor after a period of inactivity. This prolongs the life of your monitor. Screen saver – Enable password-protected screen saver on your PC. Avoid screen saver if you are more concerned about performance that security. Wallpapers and themes – If performance is more important to you, avoid special screen backgrounds as they utilize a lot of system resources. Temperature and Humidity - Ensure that the room temperature and humidity of your PC location is conducive for human condition and comfort. Summer Care - Ensure adequate ventilation around PC especially in summer and sealed up rooms to avoid CPU fan stopping and processor burning. PC Ventilation - Do not cover the open spaces on CPU cases and monitors to allow unobstructed dissipation of heat and free flow of air in and out of the casing for the PC and the monitor. Do not cover them with books and papers. PCs and monitors generate heat that needs to be extracted from them. Shock – Ensure that the PC is not subjected to sudden impact like kicking, falling, dropping, bumping by mistake while it is ON. This can result in component failure and loss of data. UPS – It is a good safeguard to connect your PC to an adequate UPS (Uninterruptible Power Supply). This gives room for proper shutdown of the PC in case of power failure. Surge protector – If you do not have your PC attached to a UPS, then you should have it attached to a surge protector.